Malcolm X often used the concept of prison as a metaphor to describe the situation of New Afrikan people. He implied that just as those in actual prisons are expected to “rehabilitate” themselves as a condition for their release, We must transform ourselves, as a people, as a condition for securing our freedom from oppression. Malcolm¹s autobiography offers evidence of the pivotal role that prison played in his transformation (esp. chapters 10,11,and 12), and provides guidance for imprisoned New Afrikans, who can begin a process of self-transformation similar to that undertaken by Malcolm. We have the added benefit of knowing the general outline of our identity, purpose, and direction. Although in prison, We are not defined by this condition. 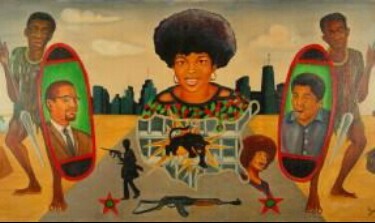 We are New Afrikans (identity; nationality), citizens of an oppressed nation. Our purpose is to secure the independence of the nation, and socialist development is the direction. The time spent in prison should be devoted to our self-transformationŠto the further development of our identity, commitment to our purpose, and the pursuit of knowledge and skills needed to aid our people in the realization of the socialist development of our society. While in prison, Malcolm began to think in a systematic, critical way, about his past life-style, about the world and the society he lived in. He began to question the way things were, and he realized that change in his life, and in the society was both possible and necessary. While in prison, Malcolm began to think but only after he began to read. 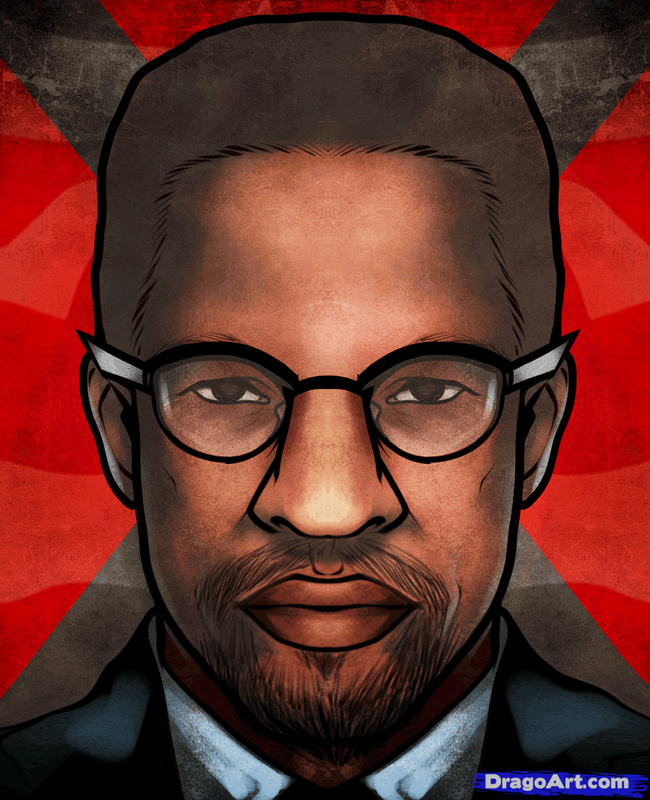 Prior to his imprisonment, Malcolm had been enclosed in the world of the hustler, the player, the pimp, the gangster the parasite and he couldn¹t imagine himself outside of that world. Reading exposed Malcolm to new worlds; it allowed him to see that there were alternatives to the lifestyle and values of the social parasite. While in prison, Malcolm began to think, and to read but only after he had been encouraged to do so by someone that he respected and who had taken an unselfish interest in him. Malcolm was later motivated by a new sense of self-worth and identity and purpose, as his family introduced him to the religious and political philosophy of Islam, as taught by Elijah Muhammad, and practiced by the Nation of Islam. Soon after leaving prison, Malcolm began to effect change upon the world but he was able to do so because he had first changed himself, while in prison. Many imprisoned New Afrikans can follow his example, change themselves, become new men and women committed to acting upon the world to effect its radical transformation. As with Malcolm, such change would more likely occur if imprisoned New Afrikans are encouraged and assisted by individuals, groups, or a community seeking to make them part of a collective process of redemption and progressive social development. When imprisoned New Afrikans read Malcolm¹s autobiography, We should reflect upon our own lives, as We can easily identify with Malcolm, and see similarities between his life and our own. In fact, Malcolm charges us to examine our lives when he says, “Šwhy am i as i am? To understand that of any person, his whole life, from birth, must be reviewed. All of our experiences fuse into our personality. Everything that ever happened to us is an ingredient.” (1) Critical review of one¹s own life is the first step in the process of personal transformation. It¹s also the hardest step to take, because it requires that one be brutally honest and unreserved in the examination and critique of one¹s fears and shortcomings. Reading Malcolm can help us to understand how critical self-examination is done. What is there in Malcolm¹s life that¹s not in our own? Who was he, if not one of us? What does Malcolm mean to us if not that We, like him, can change? What does his prison experience mean to us if not that We, too, can use the prison as the environment within which We undergo our own metamorphosis? As Malcolm looked back on his life as a parasite, he acknowledged the degree to which it was a result of the bad choices he had made, due in part to “the wrong kinds of heroes, and the wrong kinds of influences.” but those heroes and influences, those bad choices, should be examined within the context of the society that helped to produce them We are all products of a unique form of colonial oppression. Most people enter prison thinking only of surviving the experience and returning to their previous way of life. They spend most of their time watching television, listening to music, playing sports or working jobs linked to the operation of the prison (e.g., kitchen or laundry or janitorial services). Educational programs in prison are designed so that only a few prisoners may participate. Rare are the self-motivated prisoners who decide to educate and transform themselves. We can go through the motions of changing our lives while in prison, or otherwise but the test of the truth comes when the prison doors are opened, or, when otherwise We¹re confronted with situations which test our characters. Nevertheless before We can remain faithful, We must first become faithful. Malcolm¹s prison transformation can be a model for our own.